We had some good splashes, with two stories going national, and we picked up two awards at the Press Gazette Student Journalism Awards 2008: the Scoop of the Year for an undercover investigation into an essay writing company run by a UCLan student; and one of our reporters picked up Student Reporter of the Year. 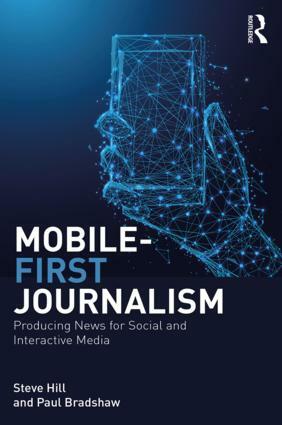 While studying I also did shifts for the Lancashire Evening Post as a reporter and got involved in the Johnston Press “Newsroom of the Future” project – shooting lots of video and audio for the website. I also had a really enjoyable placement and shifts with The Scotsman when Stewart Kirkpatrick, now of the Caledonian Mercury, was editor. This taught me a lot about how a national and regional operated in the same newsroom (standing me in good stead for my current role at Media Wales). I also went to India for two and a half months to work for a publishing company, Explocity, on their range of magazines as a reporter and sub editor. Based in Bangalore, this was an eye-opening experience. Finding a tough job market in the summer of 2008 I sold out and took a comms job at the university, but this involved managing the Students’ Union website and taught me a lot about content management, managing social media and databases/content management systems. In January 2009 I started up a local news and community site for Preston, Blog Preston. This was partly to keep up some journalism experience and also to fill a void that was left by the Preston Citizen shutting down. I used WordPress, built up contacts and stories started coming in. Local people found it a useful resource and we had great feedback and traffic figures. It’s still going now, I oversee some very talented student journalists at UCLan: Andy Halls, Joseph Stashko, Daniel Bentley and David Stubbings – who produce content and manage the site. As Online Communities Editor with Media Wales I took on the project of starting a community website for Cardiff (http://yourcardiff.walesonline.co.uk) under the main WalesOnline (http://www.walesonline.co.uk) site. The Cardiff section on the WalesOnline site just saw content pumped through from the papers, so my role was to get under the skin of Cardiff, focus on community and council stories and attract guest bloggers to the site. I also manage the social media presences for yourCardiff and WalesOnline. In the multimedia age I also write regularly for the South Wales Echo, and work on increasing reader interaction with stories in the paper and working on collaborative journalism projects like getting readers to submit their parking hotspots around the city. I can go from editing a Google map, to shooting video, to writing the splash, to editing a guest blog post all in the space of a few hours during any given day. I like regional journalism. I like getting out into the community and reporting on stories that matter to them, so I’d definitely like to stay in regional journalism and move upwards. Ideally I’d like to get involved in improving the quality of local newspaper websites, helping them connect with online communities and also getting better integration with the papers. There’s so much more that could be done and it’s an exciting time to be a journalist. See now this is more outright informative and gets straight to the point(s). Kind of like a CV/resume but in streaming words not bullet-points; there’s even the short aspirational closing word. Ace. You’re much closer to what I do though you’ve got a lot of modern advancement not possible 15-20 years ago worked in. 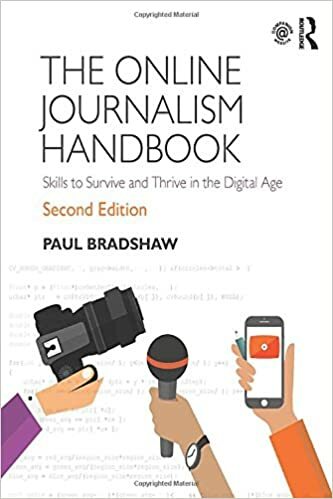 I never got a BA in journalism for reasons outlined via my blog and here on Paul’s blog in a discussion we had. I felt aligned most to Stanley Kubrick or Charles William Eliot opinions on the matter; but it is an individual thing and a big decision these days when you can’t become a binman or many other simple things without a degree. Paul hit the nail on the head; self-education isn’t ‘better’ it’s just ‘different’. Some would be best off with it, others would be better off with a formal programme of study…but there’s obviously room for comprimise between either of those two poles. It’s somewhat to do with whether long-term you’re looking at being a mainstream media worker with an eye for wide acceptance and a high income…or a fringe maverick given to individualism over prosperity and formal recognition.